This entry was posted on October 11, 2016 by nigel borrington. It was filed under Gallery, Landscape, Nature and Wildlife, Travel Locations and was tagged with carrauntoohil Mountain, county kerry, Irish Landsape photography, Macgillycuddy’s Reeks range, Nigel Borrington. Exceptional capture. The lines and light are wonderful; 3 zones with different texture and color. Brilliant. My art mentor used to say that if you wanted to have a really interesting composition include one tiny dot or splash that is completely different from everything else. 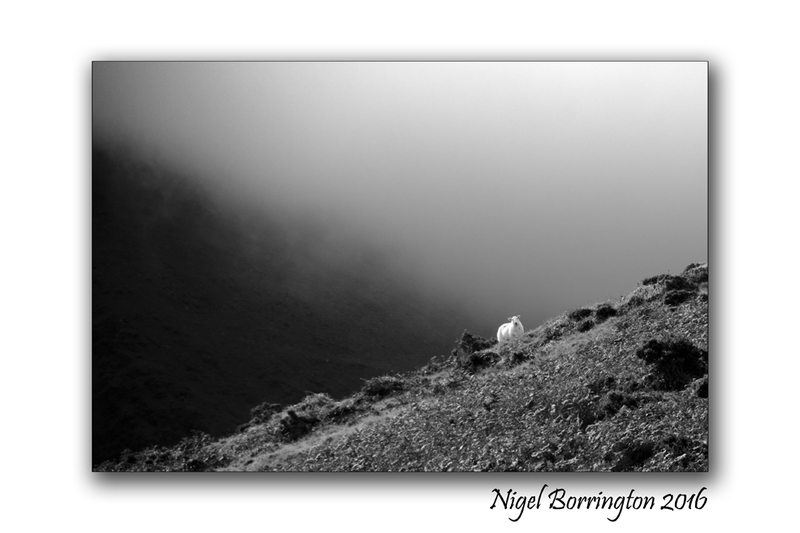 There it is, that nice white outstanding critter perched on the hill! A fair few years since I last reached the top Nigel. Your photographs make me want to see if the legs are still up to it! Regards and thanks for the continuing excellence of your site. Thom.